Recently, we watched the world applaud as the Thai government and international humanitarian organisations responded to the plight of Rahaf Mohammed al-Qunun, the teenage Saudi girl who barricaded herself in an airport hotel and took to Twitter to press for asylum. 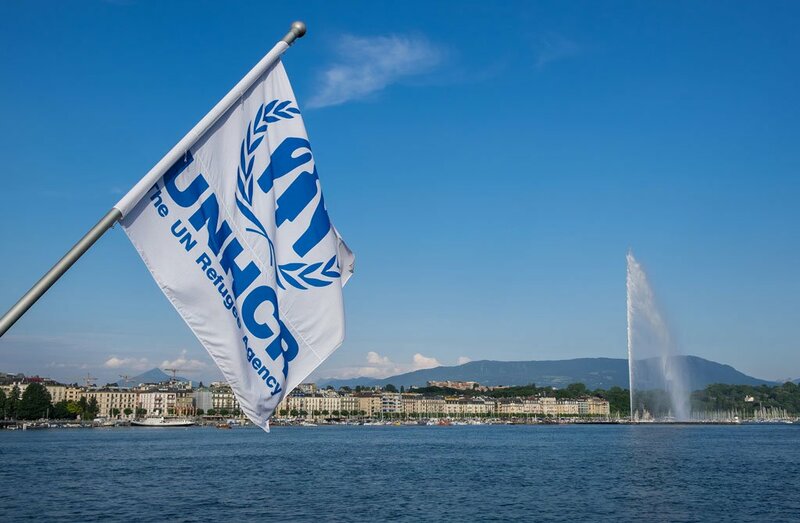 UNHCR (Thailand) secured the agreement of the Thai authorities and promptly dispatched their representative to Bangkok airport. 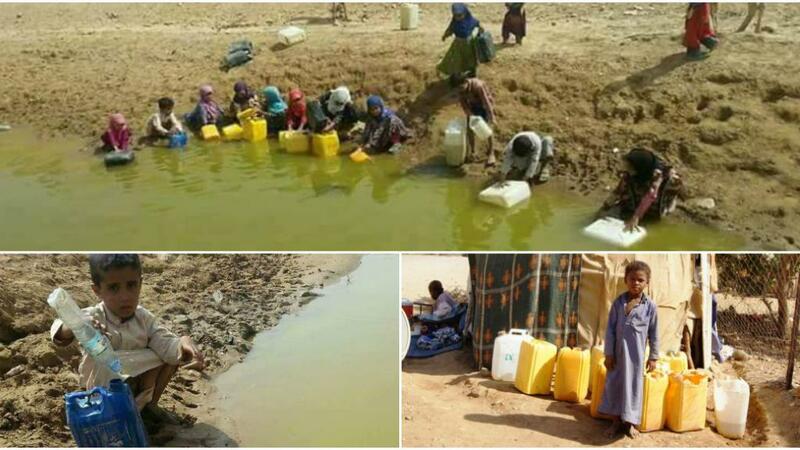 Rahaf wa provided with UNHCR protection. That allowed her to leave the airport and thwart the counter moves of the Saudi authorities and her own relatives. The world saw UNHCR at its best. It pro-actively sought and gained access to Rahaf, and helped prevent her deportation. Non-refoulement is a principle championed by this agency and it insists that those in need of protection cannot be returned to somewhere where their life or freedom will be compromised. 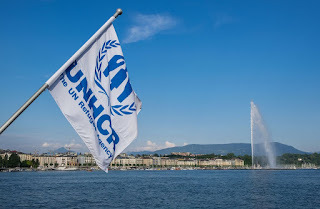 The actions of UNHCR were key in Rahaf's case, given that Thailand is not a party to the 1957 UN Refugee Convention or its 1967 Protocol defining the status of refugees. Additionally, refugees status is normally granted by governments, but UNHCR can grant it where states are "unable or unwilling to do so." In the end, Canada stepped up to give Rahaf asylum, and she made her way there in the glare of the world's media. There was no suche media glare nor indeed any initiative by the refugee agency whem it came to 31 UNHCR registered Rohingya refugees who were stranded in No Man's Land between India and Bangladesh. Their predicament, which began less than two weeks after Rahaf's arrival in Thailand, throws a different light on the character of UNHCR's humanitarianism. The refugee agency did not intervene or secure access to them, nor counsel them or provide them with any kind of aid. In the case of the Saudi teenager, Cecil Pouilly, senior communications officer fro UNHCR, quite rightly expressed concerns for Rahaf's "emotional distress" and understood the need for some "breathing space" for her. No such expression of concern has been made for the Rohingya men, women, and children -- some as young as eight months old, who spent four nights under the open skies in wintry conditions. Even after their arrest buy the Indian Border force and subsequent jailing on January 22, 2019, and despite repeated requests, the UN refugee agency was still unale to provide this writer with a comment 72 hours later. We should understand that the UNHCR's primary task as the UN's refugee agency is to protect a person who has crossed an international border due to fear for life or liberty. The 31 Rohingya fulfilled UNHCR's criteria for refugee status when they were in India. They were outside their country of origin and did not have the protection of the state. That is why they were given UNHCR cards. Their case should have been a cut and dry on given that the paperwork existed. Yet, no assistance was rendered. The Rohingya in India see no evidence of any kind of UNHCR protection. Nor do they see any durable solution to the current Indian dispensation and its eagerness to round up and repatriate Rohingya.In the recent days, over a thousand Rohingya have crossed to Bangladesh from India. They have been perturbed by news of Rohingya being forcibly repatriated to Myanmar from India. A group of seven people were repatriated in October 2018 and then a family of five were sent back in January 2019. Both cases received considerable media attention. However, the family of five have not been heard of since and their case, in particular, has caused anxiety amongst the 40,000 or so Rohingya living in India. Taken together, this information points to an unbalanced and dark side of this agency when it comes to Rohingya refugees. And there is evidence stretching down the decades to support that contention. Just last year, UNHCR agreed a memorandum with UNDP and the government of Myanmar concerning Rohingya repatriation. Hpwever, it kept its contents entirely under wraps and UNHCR did not discuss or consult the affected community -- the Rohingya refugees in Bangladesh, as required by its own code on voluntary repatriation processes. This came as no surprise to students of UNHCR repatriation of Rohingya from Bangladesh. UNHCR's well documentd and shameful history in this regard stretched back to 1978. Fieldview Solutions in their startling report "Time to Break Old Habits" from June 2018 -- concerning the role and behaviour of international agencies in Rakhine state -- wrote the following about UNHCR and its reponse to the crackdown on Rohingya of October 2016. "After the first rond of massive violence after October 9, 2016, one might have expected the international community and the UNCT (UN country team) to try to ramp up its presence and protective capacity in the north. Shockingly, though, the UN response was the opposite. UNHCR initially proposed during this time period to completely remove northern Rakhine state from the Humanitarian Response Plan adn to scale back its own operations." Echoing this, the International Independent Fact-Finding Mission on Myanmar explicitly criticised UN entities operating in Myanmar and bemaoned their lack of cooperation with the Fact-Finding Mission and their defensiveness. It urged a review of how UN organisations have performed over the years in the context of the catastrophe that unfolded in Rakhine state. Internal reviews exist, and in leaks which have emerged, it seems that the Myanmar regime can count on UN self-censorship on the issue of the Rohingya and Rakhine state. It can further count on a narrative that emphasises inter-communal conflicts and development issues rather than the centrally-directed policies of apartheid and disenfranchisement. "I thought they were safe. They went to India via Bangladesh after 2012. I thought their luck was good that they never saw what happened to us. But now if India sends them back, their fate will be the same as ours. They are finished." If India is able to repatriate UNHCR registered Rohingya to Myanmar with total impunity, when every single humanitarian organisation has declared it unsafe, then the scope of humanitarianism has not expanded but shrunk for UNHCR and other UN entities. And if the meaning and practice of refugee protection have been transformed to the extent it seems to have been in the countries where the Rohingya flee to, then Rofique's dire prediction is about to come true. This was first published in London Times in March 2014. Be it political, military, socio-economic or cultural affairs Pakistan's leadership has been quite mediocre since independence. The tragedies and setbacks were many. Failure to develop a coherent set of policies to address the nations pressing needs; to eradicate ignorance, poverty and disease at home and to maintain a dignified image abroad are the result of shortsighted leadership. After Jinnah there is just a continuous and consistent bottomless fall that has now brought the country to its knees. Some of our decisions or lack thereof need to be revisited to comprehend our follies. The four military interventions-coup d'etats - have retarded democracy and socio-economic developments indefinitely. The military's continuous interference distorts and twists Pakistan completely out of shape, so much so that it is faceless in the comity of nations and an oppressive burden that impoverishes the people. The unacceptable truth is that the military has become the senior partner in governance at all levels, to the extent that separation of powers is totally blurred. The nation experiences medium to violent jerks often that rob it of stability, economic progress, cohesion and comprehension of its destiny. The arrogance of the military is the basis of its justification that it has a monopoly on patriotism, wisdom, organisation and management skills to rule. This may be true in part today as all other power structures and institutions have been weakened quite deliberately by the military. While major political parties have either been created by them or compromised and corrupted to become followers who receive crumbs for their pimping services. Thug life is a term used by gangsters to glorify their law breaking, heady crime sprees. However when Musharraf reached his limits of flexibility, it was decided by the US and British to force him bring back the two tainted, condemned political leaders in exile and to wash away all their sins under a dubious order in the name of national reconciliation. "So why will I be voting now? The answer will surprise none of you, Jeremy Corbyn. ", "We do not need perfect politicians, because we are not perfect people ourselves. However for the first time in my adult life and perhaps for the first time in British history someone I would consider to be a fundamentally decent human being – that is, someone who does not want to kill the poor and does not routinely make a habit of rationalising the bombing and invasion of other peoples countries under the rubric of humanitarianism – has a chance of being elected." "I simply think we cannot afford, in this very particular set of circumstances, to not vote. Our brothers and sisters in America were not given an alternative, their options were one war-mongering lunatic vs. another and many of them (almost half the US electorate did not vote at all), quite understandably could not bring themselves to vote for Hilary Clinton, despite the threat of Mr. Trump. Were I an American I must confess I would have done the same. We, however, do have a chance for the first time to vote for the lesser of two evils." There are a great many other progressive policies that make Corbyn a genuinely different candidate from what we have seen before but another very key area – of literally life and death – is the NHS. If you want to see what privatised healthcare looks like just ask any poor American. "There are countless American families mired in a lifetime of debt for basic healthcare that citizens of every other industrial country (and Cuba) receive as standard from public money. When I was five I got the measles and nearly died! If I was an American child born into a similarly poor family I would either likely be dead now or my family still paying off the bill." "When I was 10 my mum got cancer, same story. The idea and reality of an NHS is one of the most democratic ideas ever invented. It must be protected at all costs, the Tories have made their intentions in this area quite plain – as has Corbyn." "If you are so busy hating those pesky ‘immigrants’ (you know the same darkies and foreign nationals that overwhelmingly staff your NHS) that you can’t see that the Trump worshipping Tories are callous enough to condemn millions of ‘their own’ people to slow and early death because they are poor and because it’s profitable, (as the Republicans just have) then you are unlikely to be reading this anyway. But if you have such people in your family (as I do) please try and talk some sense into them, for their own good." "The simple fact is, if enough people vote for Corbyn/Labour they will win. In fact there are enough people that did not vote at all in the last election to tip the scales decidedly." On Wednesday afternoon, our home city of London suffered a hideous attack A palpable sense of anger and outrage runs through us all as well as heartbreak for the victims and their families. This afternoon's attack on both Westminster Bridge and around Parliament is an attack on what all Muslims (to me terrorists are NOT Muslim) and people of this nation hold dear: freedom, peace and the ability to live our daily lives without fear. Our way of life is enshrined in our religion, thereby any attack on one is an attack on us all. The perpetrators of this attack have one objective: divide and stoke fear. Their myth of 'Them and Us' is exactly that, a myth. All of us have a collective responsibility for identifying and notifying the appropriate authorities of individuals who attack and kill innocents for whatever cause. People who carry out such attacks are an abomination to all of humanity and must be dealt with swiftly and appropriately. We are grateful for the way our emergency services keep us all safe and continue to do so in difficult circumstances. We stand together strong and united. Sadiq Khan has launched a blistering attack on the Government after it emerged just 350 lone child refugees will be welcomed into Britain under the so-called Dubs Amendment. 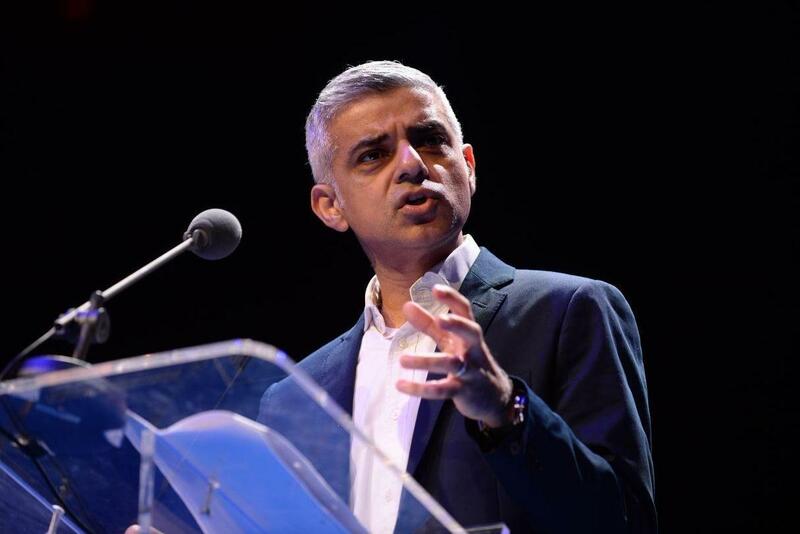 The Mayor said “ministers should collectively hang their heads in shame” to end the agreement which campaigners hoped would see 3,000 unaccompanied children enter the UK. In a low-key announcement, immigration minister Robert Goodwill said the scheme is set to close after another 150 refugees have been brought to Britain after it was revealed 200 have arrived so far through the route. Labour peer Lord Alf Dubs spearheaded the measure last year which requires the Government to relocate unaccompanied refugee children from other countries in Europe. But in a written statement, Mr Goodwill revealed only 350 children would be relocated through the amendment before it ends which provoked a furious backlash from politicians, bishops and charities. Mr Khan said the Government was “shunning” its responsibility to help the world’s most vulnerable children. He said: “Ministers should collectively hang their heads in shame for their decision to end the Dubs Amendment, which was helping to transform the lives of children caught up in the ongoing humanitarian crisis. “In London, we have a proud history of welcoming and supporting refugees seeking sanctuary and helping them to rebuild their lives. “That’s why as an MP I voted in favour of the Dubs Amendment, and it’s why as Mayor I am proud to have worked with London councils who have provided support for unaccompanied asylum seeking children, including those that have arrived via the Dubs route. “As a country, we cannot shun our responsibility to do our part in helping some of the most vulnerable children in the world. Tom Viita, head of advocacy at Christian Aid, said: "After Trump's refugee ban in recent weeks, it is shocking to see the UK sending out another deeply worrying message to the rest of the world. "Theresa May and her government need to be pulling Trump up, rather than following him downwards." The Bishop of Croydon, the Rt Rev Jonathan Clark, added: “By refusing to help those children you are in effect helping the trafficking industry." A Home Office spokeswoman said: "We are not giving up on vulnerable children who are fleeing conflict and danger. "Thanks to the goodwill of the British public and local authorities, in the last year alone we have provided refuge or other forms of leave to more than 8,000 children. "Our commitment to resettle 350 unaccompanied children from Europe is just one way we are helping." Pakistan's Supreme Court Bench that ran away! For this dishonourable bench to hide behind a winter vacation Calendar, is as disgraceful, as shameful and as flimsy as Nawaz hiding behind the Qatari Prince's letter. No shame. No respect. No pain for the country. No professionalism and above all no ethics, morality and sense of justice. Everything that this infamous Supreme Court and especially this bench of 5 did is highly questionable. First lying low, and like Nero and Caligula, power intoxicated and merry-making, from April to October, while Pakistan burned. Then deciding to take on the case and setting the Nov 1st date, for the first hearing, one day before Imran threatens Armageddon. It stinks. It stinks all across the Margallas! These actions are an absolute disgrace to their institution and to each individual who was and is part of this infamous bench. Why on earth would you take on a case, set high expectations and then slink away like rats under the pretence of "winter holidays”? Under what compulsions did these so called lordships wake up from their damn power induced intoxication of 7 months in the first place? And then what prompted these so called lordships to jump ship and throw this bag of crap to another bench? The entire lawyer community should hang its head in shame. These 5 SC judges, especially the CJ, basically covered their backsides, and some hoping for some crumbs to come their way, post retirement. It was clear that this disgraceful bench had already made up its mind to dump the case when they "asked" both parties about forming a Commission. Is that how the Supreme Court of our land works? How many money launderer's, crooks, criminals have been offered" Commissions" by these people who now disgrace the sacred role of Supreme Court Justice? How many commissions, you dishonourable lordships, how many? You're a disgrace to these sacred seats you occupy, my dear dishonourable lordships or whatever you are called. They even indirectly urged Imran’s lawyers to opt for a commission, subtly implying that his case was weak. They also knew Nawaz would accept the commission, and thus so these 5 stooges could rid themselves of having to decide the case. Imran didn't take the bait so they were only left with an option that a lowly clerk and "babu" is left with. Some stupid rules and procedures of winter vacations. So go ahead your dishonourable lordships. Go ahead and fiddle while Pakistan burns. Pakistan will not forget nor forgive you. Shameful. Disgraceful. Koee Sharam hothee hay, Koee haya hothee hay. And all they could come up with, was to hide behind their damn winter vacation calendar. May you 5 have -40 degrees with wind chill wherever you go for that so critical vacation. Off with their heads, I say! Copyright © samadbilloo.com | . Powered by Blogger.